The original kitchen in this Mt. 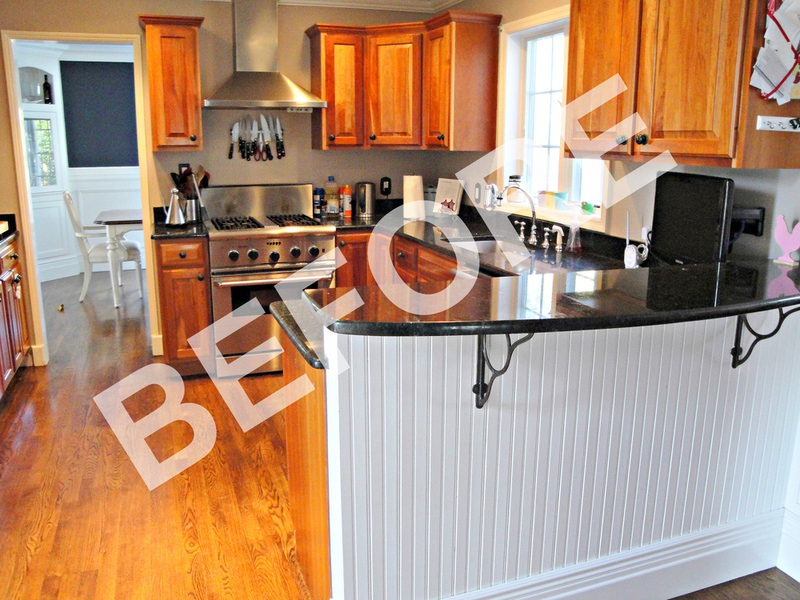 Kisco NY home contained outdated 1990’s cherry cabinets, in which our client desired a more streamlined appearance and optimized functionality. With crisp, white frames, we extended the cabinet height to the ceiling and reconfigured the cabinet space to offer better storage. The farmhouse sink addition and altered peninsula with corbel embellishments is a fresh vibrant approach with vintage elements.